There was a childhood dream. The dream of a little boy who yearned for a Volvo truck. Josef Hlaváček works as a mechanic and truck driver for the CSSR domestic transport. With the support of his family Josef Hlaváček buys his first Volvo truck and founds TTV. 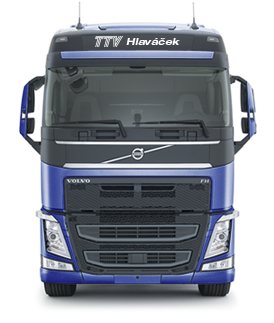 With 30 employees and 20 Volvo trucks, the TTV purchases a complex in Rychnov nad Kněžnou. Currently, a company is based in Kostelec nad Orlicí and has a fleet of 121 vehicles. Association supporting families with handicapped children. Supported since 2012. Secondary school attended by disabled children. Supported since 2012. Jan Kopecký, a driver of Skoda Motorsport team, European champion in 2013 and APRC in 2014. Nursery with a special class for disabled children. Supported since 2012. A popular "Three Castles March" supported since 2010.